Africa Opportunity Partners is the Investment Manager for the Africa Opportunity Fund. The Investment Manager is responsible for managing the investments of the fund in keeping with the fund’s strategy. Africa Opportunity Partners’ two founding principals, Francis Daniels and Robert Knapp, have invested in Africa together since 1999. 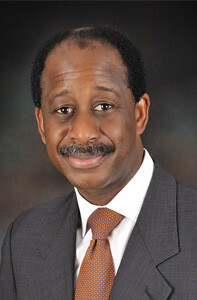 Mr. Daniels is a director of Africa Opportunity Partners, the Investment Manager. Mr. Daniels has been investing in Africa since 1994. He serves, also, as a member of the supervisory board of the Meridiam Infrastructure Africa Fund and a non-executive director of Masawara PLC, an investment company traded on the AIM Market of the London Stock Exchange. Prior to working in investment management, Mr. Daniels was a corporate lawyer and is admitted to practice as an attorney in the State of New York. He holds a LL.B degree from the University of Ghana, a LL.M degree from the University of Toronto, a LL.M and a LL.M (Corporations) degree from New York University Law School. Mr. Knapp is a principal of Ironsides Partners LLC, a firm he founded in 2007 based on a global value investment strategy of targeting discounted assets and opportunistic credit investments. Prior to founding Ironsides Mr. Knapp worked for 10 years as a fund manager at Millennium Partners, L.P. in New York, during which time he met Francis Daniels. They began working together on African investments such as owning Ashanti Goldfields securities. Robert is a director of Africa Opportunity Partners Limited, the investment manager of the Company, and is one of the largest shareholders of AOF. Robert is also a director of several other investment companies, including MVC Capital, listed on the New York Stock Exchange, Castle Private Equity AG listed in Switzerland, and Pacific Alliance Asia Opportunity Fund. 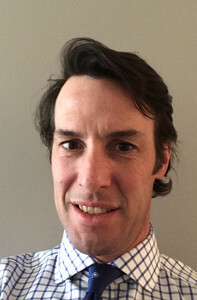 Robert holds a BSc degree in engineering from Princeton University and a BA degree in Philosophy, Politics, and Economics from Oxford University.